Back pain may limit your ability to participate in any activity, including yoga. If you injured your back in yoga, why didn’t the person next to you also get hurt? Why do some people heal fast and others do not? Practicing safe yoga is important; it requires body awareness, mindfulness and expert instruction on technique. If these points have been covered and you still hurt your back, perhaps the reason is a bit more personal. As a yoga practitioner you may be familiar with the Kosha model. The Kosha model forms an ideal framework for the therapeutic side of yoga. According to the yogic system, the five layers of human existence move from tangible to subtle. The layers include physical, energetic, psychological, intuitive and spiritual and are all equally important. Unity of mind, body and spirit requires us to consider these layers individually and as a whole. Our perception of these layers within our own body can guide our recovery and keep us safe on our mat. Pain is a physical response to a noxious stimulus, but pain can also occur without stimulus. The complicated nature of low back pain is due to the fact that we are human beings. Many books have been written with various perspectives on causes and proper treatment for back pain. As a physical therapist, my education has developed around a biomedical model. From this lens, I offer suggestions on preventing back pain specifically from the first layer of the Kosha model. Keep in mind, this layer cannot easily be peeled from the others. The physical layer includes the anatomical structures and physiological processes of the body. Your anatomy and structure will dictate your preference for backbends or forward bends. Your overall physical condition may impact your susceptibility to back injury. How you treat your body (food, sleep, exercise and hygiene) influences your immune system and your resilience. With that said, there is a pretty high probability that you will experience back pain at some point in your life . Despite advances in science we often cannot find a specific (pathoanatomical) cause for low back pain . In physical therapy, we tend to classify back pain clients based on what type of treatment would be of most benefit based on their signs and symptoms . Currently the following categories are helpful in classifying types of back disorders with the understanding that a person may not easily fit in any one category. Manipulation: If your back is on the stiffer side of normal. Your pain is not chronic, it is on one side of your body, and does not refer past your knee. Stabilization: You are younger than 40 years old. You are hypermobile or have been told you have instability. You lack spinal control and tend to hitch with movement. Movement specific or centralization exercises: You have a directional preference. Certain motions consistently make your pain worse. Traction: Your nerves are compressed. No movement makes it feel better. You have a stable condition and no life-threatening pathology. You may straddle two categories. You may have a more substantial condition such as scoliosis or a movement dysfunction that requires a customized approach. I provide this simplified summary to help you determine where you might fall in terms of treatment or therapeutics. Those in the first category, manipulation, tend to be more stable. Stiff generally equals stable. You are less vulnerable than the others and will tolerate a more strenuous class. However, I encourage you to try a restorative class to let go of tension. Holding yoga poses for longer may help you to release, lengthen and create space in your body and mind. Those in the second category of back disorder need stability. They are too mobile in their spines and lack control. Doing a type of yoga that encourages deep stretching could be injurious. It is generally recommended you work in midrange of a pose and not push into full Urdhva Mukha Svanasana (Upward-Facing Dog) or binding poses that require control and stability. Remember the rules of stretching and avoid passively holding poses that may overstretch your ligaments and injure your joints. Move from a place of stability and control. If you fall into the third category, movement specific, then it is useful to have an understanding of what motion makes you feel worse. Listen to your body. Experiment in a gentle yoga class and practice with awareness. Some conditions will require you to avoid certain movements. Conditions such as spondylolisthesis (no back bending), disc herniation (no forward bending) and osteoporosis (no forward bending) require modifications. Months or years after an injury, you may need to learn to move back into the painful direction to restore normal function. Working with a professional may be beneficial to get you on the right path. Finding the right yoga class is important for those who have been through the health care system and are still experiencing pain. Talk to your healthcare provider, or friends for ideas on finding the right class and instructor. More than 60 percent of people that have experienced back pain will have recurrence of symptoms . This high rate of recurrence has to do with the complexity of back pain. The common biomedically directed treatments for low back pain are directed at functional limitations. Gaining knowledge of the physical contributors to your back pain and dysfunction can help you avoid harmful positions. If your back pain has returned or you continue to hurt months after an injury despite your physically directed efforts, the reason may be more subtle. Stepping on a yoga mat can provide a sanctuary for healing. Unlike other forms of back-care management, yoga is a process. Practicing yoga encourages constant introspection. Even in a restorative yoga class, you are challenged to let go as you lie supported on your mat. Whether your back pain arose from physical, emotional or spiritual reasons is not important. What really matters is your ability to learn from it and manage it in a way that considers all aspects of who you are. Read another great article, by Olga Kabel, on yoga for back pain: 6 Reasons Your Yoga Practice Might be a Pain in the Neck. 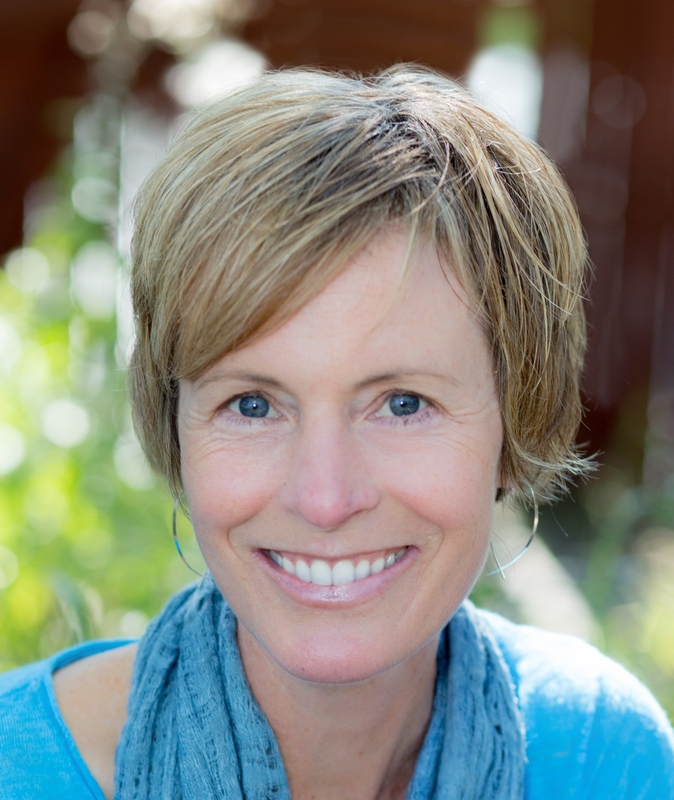 Christine Carr is the owner of Synergy Physical Therapy and Yoga, Inc. in Evergreen, Colorado. She incorporates both physical therapy and yoga in her work helping clients (synergyptyoga.com). She has been a physical therapist for 18 years and a yoga therapist for 11 years. Christine has studied with various yoga teachers and styles being drawn most to the Iyengar lineage and therapeutics in general. She now assists workshops in therapeutics for both the Professional Yoga Therapy Studies and Rachel Krentzman's Yoga for a Happy Back Program. Her passion for learning and contributing to her field led her to Dr. Matthew Taylor, PT, PhD, E-RYT 500 for whom she is now contributing articles for his SMARTSAFE yogablog.